Thanks to "Faithfully," "Separate Ways" and "Chain Reaction," Frontiers hit No. 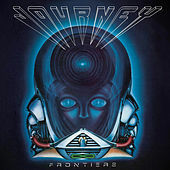 2 on the charts, further cementing Journey's place in the minds of damn near every 13-year-old in America in 1983. It didn't hurt that they had their own video game both on Atari and in arcades; provided the theme for the 1982 nerd-tastic film Tron; and were the default choice of DJs for stiff-backed slow dances and sweaty-palmed couples skates. It is impossible to calculate just how many make-out sessions were facilitated by "Faithfully," but it's safe to say the number approaches infinity.